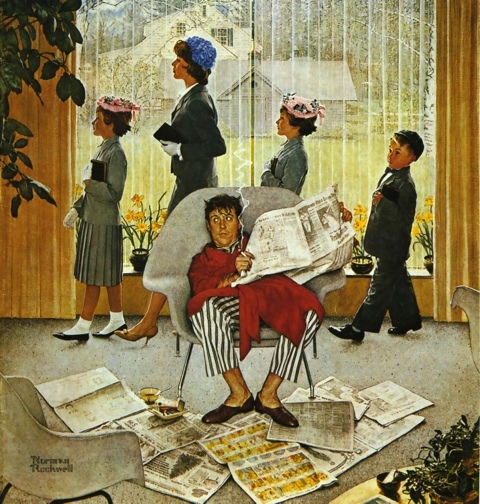 Rockwell does all he can to create contrasts between the two distinct groups. The figures in the background are rigid, straight and symmetrical (and they’re all walking in sync) while Dad slouches in an untidy, symmetrical way. The church goers are dressed conservatively and dark while Dad’s outfit is full of color and a crazy pattern. His messy disheveled newspaper (both in his hands and all over the floor) adds to the effect, as does his rounded chair, in opposition to the vertical straights of the curtains behind them and the rigid, flat, straight lines of the house we see through the window that frames the church goers (there’s a reason that house is seen flat-on, with no depth or perspective). Even Dad’s cigarette smoke is a crazy, disorderd zigzag of a line. This site is perfect! 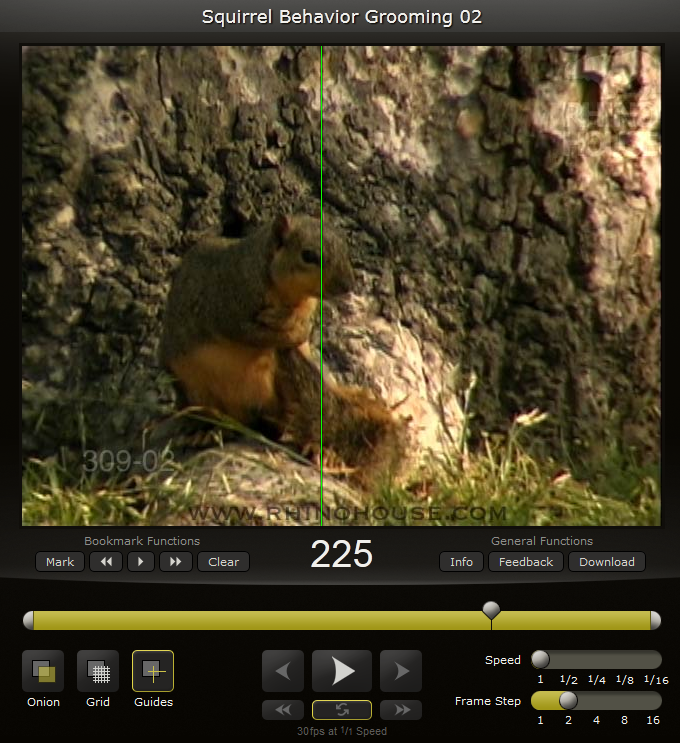 It has thousands of reference videos on different animals (and humans) separated into Behavior, Locomotion and Anatomy. The video plays embedded on the website and it has controls for various different speeds for playback (1/1, 1/2 to 1/16), you can put line guides on the video, and step through it with the forward and back arrows keys on your keyboard (just like in quicktime!) with absolutely no lag whatsoever. I’m getting a subscription as soon as my class starts. This site on the other hand is free! It doesn’t have as many reference videos as Rhino House and the playback video controls don’t include playback speed controls or grid guides, but what -is- available has a ton of flavor to it. There’re Geisha walks, Business Woman walks, Ballerina, Pregnant Women. None of which are available at Rhino House. It looks like Reference Reference is still in the process of upgrading their videos though. Only selected videos give the ability to be stepped through frame by frame. In the meantime, download the video manually and open it in quicktime. 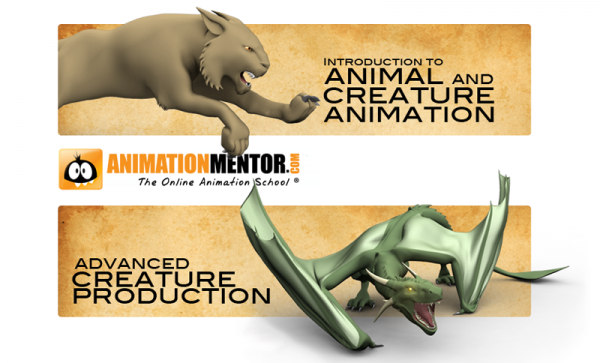 I’ve just signed up for the Creature and Animals master at AM and I’ll be in the next class (June 2012), if anyone is taking the same class, drop me a message!